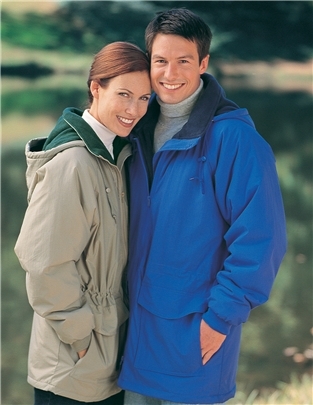 Tri Mountain Unisex Waterproof Jacket - 9900 Woodsman [9900 Woodsman] - $47.99 : Sogowear Outfitters!, Polo Shirts, Golf Shirts, Jackets, Fashion Fleece, Woven Shirts and More! 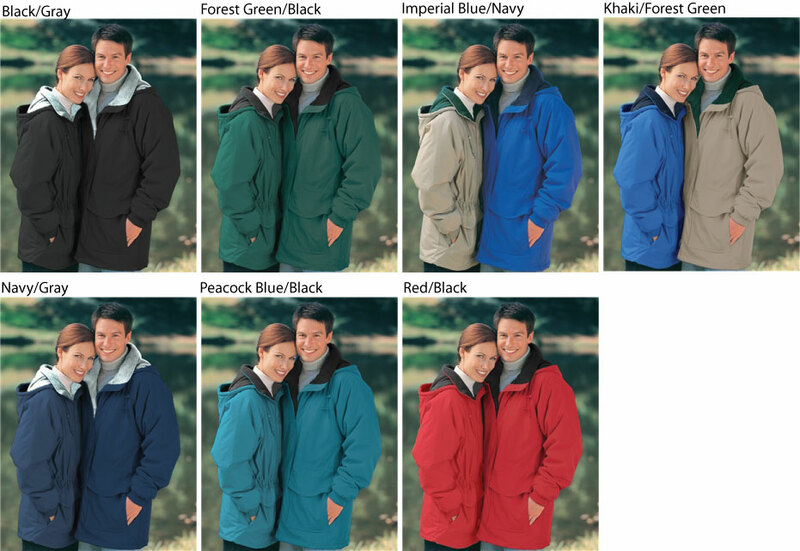 The perfect 3/4 parka with easy zip-out hood, the 9900 Woodsman features a shell constructed of wind proof/water resistant Polyurethane coated medium-weight Toughlan® nylon. This style is fully lined with super heavyweight 11.5 oz. Anti-Pilling PANDA FLEECE and 3 oz. Polyfill® quilting. Also features two front safari pockets and one inner right chest pocket with zipper. Adjustable draw cords with cord-locks at waist. Double-stitched seams for added strength. Raglan sleeves and stretch cuffs. Peacock Blue, Navy, Khaki, Imperial Blue, Red, Black, Forest Green.